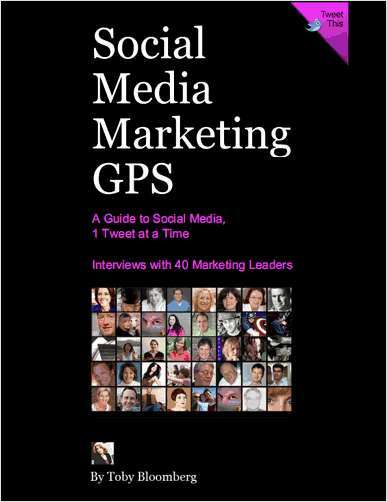 "Social Media Marketing GPS -- Free 91 Page eBook"
Free eBook: "Social Media Marketing GPS -- Free 91 Page eBook"
By submitting this content request, I have legitimate interest in the content and agree that Diva Marketing, their partners, and the creators of any other content I have selected may contact me regarding news, products, and services that may be of interest to me. Yes! Please subscribe me to NetLine's BlogNotions newsletter, the monthly newsletter for savvy B2B Marketers. Do you wish to receive future email messages from Diva Marketing?